The Saucony English Cross Country Relays go ahead on Saturday at Berry Hill Park, Mansfield where they have been staged since 1989. Again over a 1000 teams are entered over the 10 Races with 205 in the Senior Men’s event and 145 in the Senior Women’s. The Championships get under way at 11:00 am with the Junior Women’s 3 x 2.5K and then it is action packed all the way through with the final race the Senior Men’s starting at 2.40 pm. This event is now part of the build up to the Trials at the end of November to get into the GB Team for the European Cross Country Championships so many a potential athlete for that Team will be in action. The Course at Berry Hill has been meticulously prepared and reports from the venue state it is in good condition. The mixture of good parkland, a wooded section with lots of undulations and a fast finishing section make it a good course for the event and some exciting competition is expected. 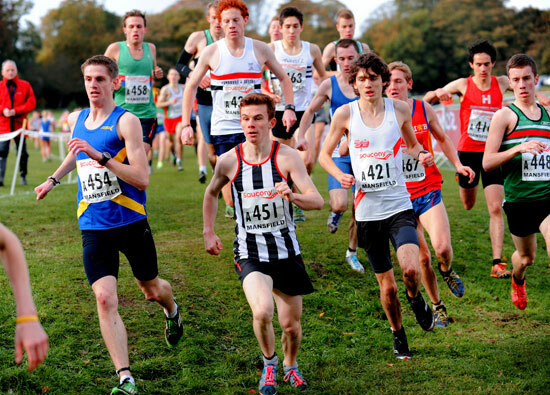 The first English Cross Country Relays took place in 1985 with just three events; Under 17 Men, Junior Men and Senior Men. The event was first staged in Crystal Palace Park and then again in the same location two years later in 1987 before it moved permanently to Berry Hill Park, Mansfield in 1989. That year, womens events were also held and over the years all the age groups have been added – there are now eight races and ten championships competed for on a single day. Over the years this event has grown in stature thanks to the dedication of all the officials, sponsors and the co-operation of Mansfield District Council. In an era where numbers of participants have fallen this event continues to grow in size. 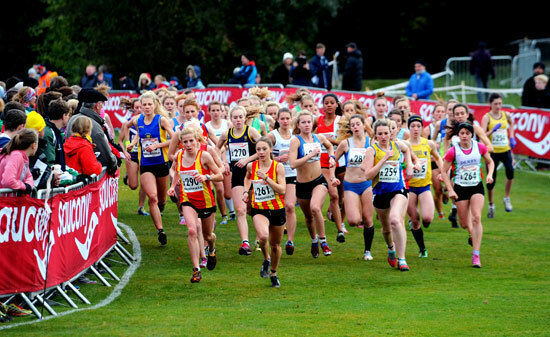 Since the advent of the event, all the top British cross country runners have competed over the course around Berry Hill Park and with the various laps remaining the same, consistent records have been established and are regularly challenged. The positioning of the event in early November makes it an ideal competition for athletes aiming to qualify for the Great Britain team to take part in the European Cross Country Championships a month later and at the same time support their club.